In Auschwitz, as in the rest of the German Nazi concentration and extermination camps, hunger was chronic and ubiquitous, being the first reason of the drop in life expectancy to a few weeks or months. For, although there was, officially, a balanced menu for prisoners, this had nothing to do with the food distributed in the canteen at Auschwitz. 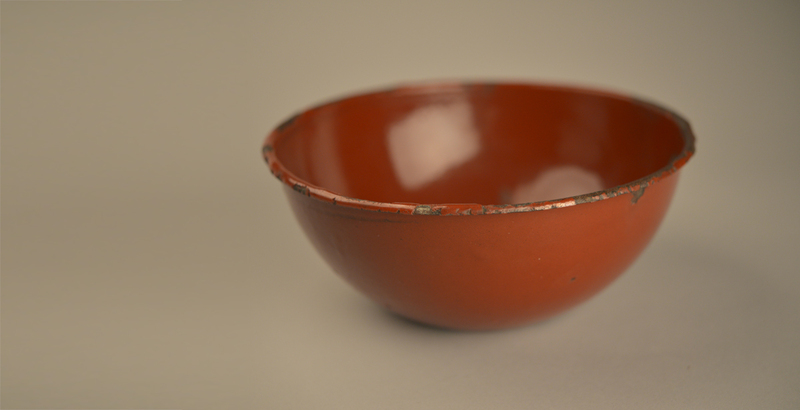 In Auschwitz, having or not a bowl could make the difference between life and death. Without one, it was impossible to receive even the minimum ration. © Paweł Sawicki. The daily ration consisted in a bowl of a bitter beverage similar to coffee for breakfast, a dish of thin soup made from rotten vegetables or meat at midday and a crust of bread and a little portion of margarine before going to bed. Some were even less lucky, for, just as the last in the distribution queue often did not receive food at all, the SS men punished arbitrarily the inmates by depriving them of their ration. After some weeks in the camp, eating tiny amounts of calories and suffering from diarrhoea, crippling abdominal pain and, in consequence, demoralization, many of them died from weakness. Inanition consumed first the fat, then the muscles and, last, the souls of prisoners. 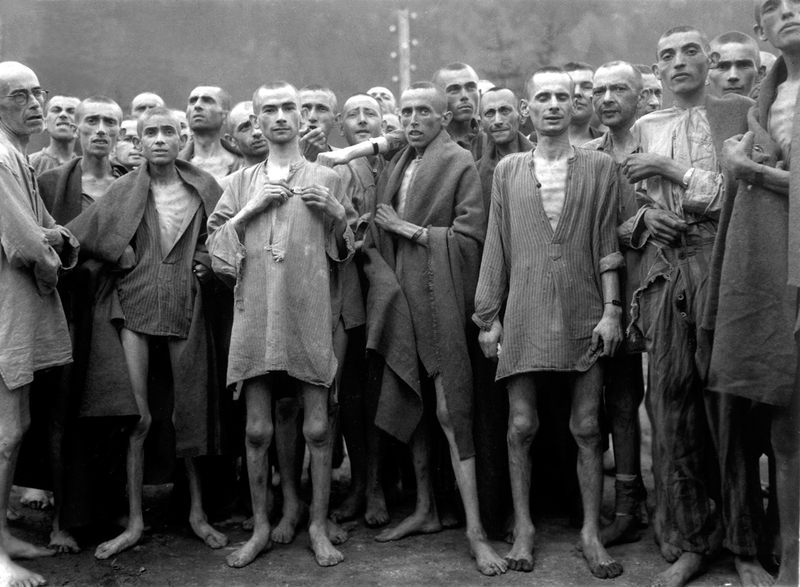 Left–Picture taken in the Nazi Germany camp of Mauthausen. Courtesy of National Archives and Records Administration. 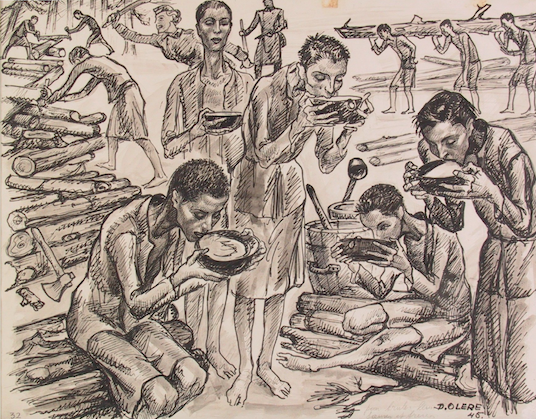 Right– Drawing by David Olère, Polish Jewish who survived Auschwitz. © Ghetto Fighters’ House Museum.